In this inspirational post I wanted to show some examples and share about connection between visual perception of resolution and the size of details. Even though contents of both images are almost identical and image sizes are identical – the one on left looks high resolution while other one looks dated, low resolution example. Now observe what are the things that set those two examples apart. It’s the size of main element and how it’s positioned in the screen. 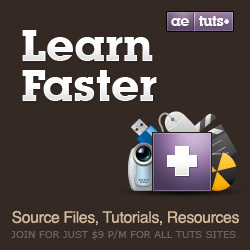 If you make your main element too big and occupy most of the screen – it tends to look low resolution. 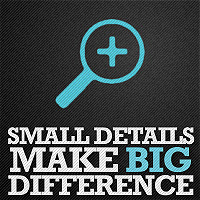 Also pay attention to details. Both images has checkerboard background. In one image it’s small size, with more details than in another where it’s big and bulky. Also a bottom text that is unreadable in this size makes it look higher quality. It tells your mind that it’s meant to be really high quality and currently is resized to a size when some details can’t be read. Unless you have a huge screen or double screen setup there is a great chance that you will make your animation look low resolution even if it’s Full HD 1080p. Normally you switch your comp size to 50% or even 33% to fit your screen and it tells your mind that every element needs to be big enough to be clearly visible in that resolution. But in reality your final product is twice as big as your work area. If you’re not careful and don’t carefully pay attention to it – there are big chances you will end up with animation that looks low resolution, dated and bulky even if it’s created in full HD. Pay attention to the small details. Most of them are not even readable, but they gives your mind an idea that this is a high resolution project with lot of details that can’t be seen in current size. The same here. Tiny details that can’t be completely seen in current size suggest that this was originally meant to be displayed in much greater size. Even if you watch it in this 600px window you still have a feeling it’s a high resolution piece. Here is more of a real life example where you can’t use tiny, abstract texts or number strings as in tech projects. 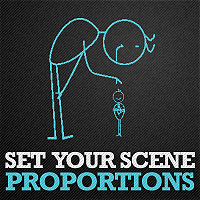 Pay attention to small particles that falls down in each scene. May it be leaves, petals, straws, snow or birds. Small details make big difference. And this last one is sort of bad example. It’s the same size as previous two, but it looks bulky and low resolution. It has no small and tiny elements. Everything is perfectly visible in this resolution which suggests that it was never meant to be in higher res.